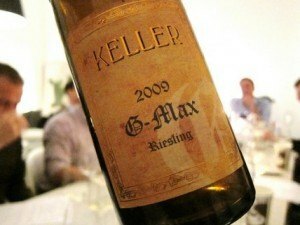 The famous wine brand G-Max was named after George, the great grandfather of Klaus Peter Keller and his grandfather, Maximillian. The vineyard is grown on limestone soil, which produces a low yield like 25 to 30 hectoliters from each hectare. For its 2009 vintage, this brand has come up with 30 magnums, half dozen double magnums, along with 1,600 normal bottles. Under this brand’s 2009 vintage, Riesling has become one among the most exclusive and expensive wines, which was auctioned in Germany at a whopping price of €3,998.40 for a double magnum. The owner of this brand, Klaus Peter Keller, said that among the half dozen double magnums, he had preserved three in his winery and the rest had been put up for sale. According to many wine connoisseurs, no other brand can bring such an awesome taste in dry German Rieslings like Keller does. The lightness in Riesling grapes, with increasing depth and mineral flavors, bring a spiritual taste to this wine.